Liberty Media Formula One Series A (FWONA) Shares Bought by BlackRock Inc.
BlackRock Inc. grew its stake in Liberty Media Formula One Series A (NASDAQ:FWONA) by 5.9% in the fourth quarter, according to the company in its most recent Form 13F filing with the Securities and Exchange Commission. The fund owned 1,057,067 shares of the company’s stock after acquiring an additional 58,597 shares during the period. BlackRock Inc. owned 0.46% of Liberty Media Formula One Series A worth $31,416,000 as of its most recent filing with the Securities and Exchange Commission. Several other hedge funds and other institutional investors also recently made changes to their positions in FWONA. Loeb Partners Corp bought a new stake in shares of Liberty Media Formula One Series A during the fourth quarter worth approximately $26,000. Oppenheimer Asset Management Inc. bought a new stake in shares of Liberty Media Formula One Series A during the fourth quarter worth approximately $27,000. We Are One Seven LLC bought a new stake in shares of Liberty Media Formula One Series A during the fourth quarter worth approximately $52,000. Bank of Montreal Can raised its stake in shares of Liberty Media Formula One Series A by 85.2% during the fourth quarter. Bank of Montreal Can now owns 2,224 shares of the company’s stock worth $66,000 after buying an additional 1,023 shares during the last quarter. Finally, Great Lakes Advisors LLC bought a new stake in shares of Liberty Media Formula One Series A during the third quarter worth approximately $201,000. 10.45% of the stock is owned by institutional investors. Several equities research analysts have commented on the stock. Zacks Investment Research raised shares of Liberty Media Formula One Series A from a “sell” rating to a “hold” rating in a research note on Wednesday, February 6th. Pivotal Research reaffirmed a “buy” rating and issued a $43.00 target price on shares of Liberty Media Formula One Series A in a research note on Friday, March 1st. Two analysts have rated the stock with a hold rating and four have assigned a buy rating to the stock. Liberty Media Formula One Series A currently has an average rating of “Buy” and an average target price of $39.80. In related news, major shareholder Art L.P. Ancient purchased 25,000 shares of Liberty Media Formula One Series A stock in a transaction dated Thursday, January 24th. The stock was bought at an average price of $29.88 per share, for a total transaction of $747,000.00. The acquisition was disclosed in a filing with the Securities & Exchange Commission, which can be accessed through the SEC website. Also, insider Richard N. Baer sold 19,988 shares of the company’s stock in a transaction that occurred on Wednesday, March 13th. The shares were sold at an average price of $41.51, for a total transaction of $829,701.88. The disclosure for this sale can be found here. 4.68% of the stock is owned by corporate insiders. Shares of NASDAQ:FWONA opened at $36.23 on Thursday. Liberty Media Formula One Series A has a 52 week low of $26.63 and a 52 week high of $37.32. The company has a quick ratio of 0.33, a current ratio of 0.33 and a debt-to-equity ratio of 0.62. The company has a market capitalization of $8.32 billion, a price-to-earnings ratio of -55.74 and a beta of 0.99. Liberty Media Formula One Series A (NASDAQ:FWONA) last issued its earnings results on Thursday, February 28th. The company reported ($0.80) EPS for the quarter, missing the Thomson Reuters’ consensus estimate of ($0.36) by ($0.44). Liberty Media Formula One Series A had a negative net margin of 8.21% and a negative return on equity of 0.67%. The firm had revenue of $481.00 million during the quarter, compared to the consensus estimate of $475.00 million. On average, research analysts anticipate that Liberty Media Formula One Series A will post -0.64 EPS for the current year. WARNING: “Liberty Media Formula One Series A (FWONA) Shares Bought by BlackRock Inc.” was originally published by Fairfield Current and is the sole property of of Fairfield Current. If you are accessing this article on another website, it was illegally copied and republished in violation of US and international trademark and copyright legislation. The original version of this article can be read at https://www.fairfieldcurrent.com/news/2019/04/11/liberty-media-formula-one-series-a-fwona-shares-bought-by-blackrock-inc.html. Formula One Group operates in the motorsports business. It holds commercial rights for the world championship, a motor race-based competition in which teams compete for the constructors’ championship and drivers compete for the drivers’ championship. The company is based in Englewood, Colorado. Featured Story: How Do You Calculate Return on Investment (ROI)? Want to see what other hedge funds are holding FWONA?Visit HoldingsChannel.com to get the latest 13F filings and insider trades for Liberty Media Formula One Series A (NASDAQ:FWONA). 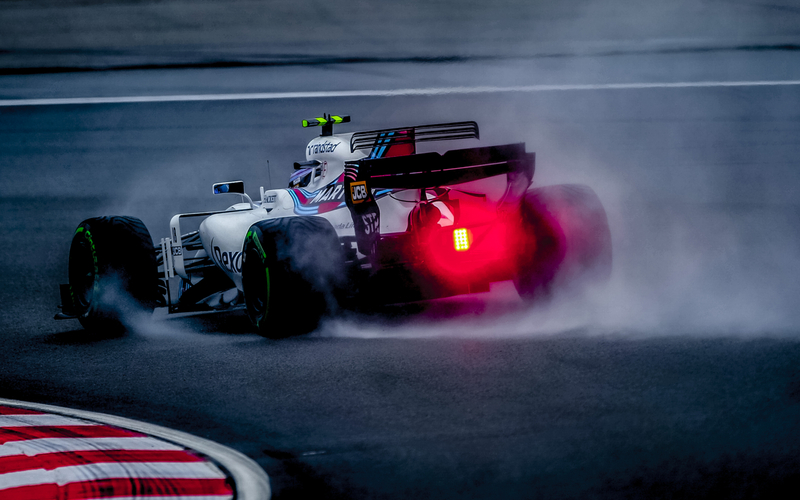 Receive News & Ratings for Liberty Media Formula One Series A Daily – Enter your email address below to receive a concise daily summary of the latest news and analysts’ ratings for Liberty Media Formula One Series A and related companies with MarketBeat.com’s FREE daily email newsletter. NAIROBI, Kenya, Apr 9 – Fernando Alonso says he will wait until the end of the current WEC season and his Indianapolis 500 bid before considering his 2020 race programme. The double World Champion walked away from Formula 1 at the end of last season having decided that McLaren were not in a position to hand him a race winning car. Focusing on the World Endurance Championship as well as a second attempt at the Indianapolis 500, the Spaniard has been anything but bored this season. He even tested McLaren’s 2019 car during the recent post-Bahrain Grand Prix test. His brief foray back into Formula 1 has many wondering whether he would consider returning to the grid in 2020. Alonso says that is not something he will even think about before July. “At the moment I am focusing on Spa, Indianapolis and Le Mans and until July I will not consider anything about the future,” GPFans quotes him as having told Spanish media. But with McLaren’s form this season seemingly on the up, Alonso says he could be tempted into a F1 return if his replacement, Carlos Sainz, bags a win or three. “It’s better to be in Q3 and to score points, but I do not feel like racing in F1 this year,” he added. Acadian Asset Management LLC bought a new position in Liberty Braves Group Series C (NASDAQ:BATRK) in the 4th quarter, according to the company in its most recent Form 13F filing with the Securities and Exchange Commission. The fund bought 15,697 shares of the financial services provider’s stock, valued at approximately $391,000. Other institutional investors and hedge funds also recently added to or reduced their stakes in the company. Loeb Partners Corp bought a new stake in shares of Liberty Braves Group Series C during the 4th quarter valued at about $30,000. First Bank & Trust bought a new stake in shares of Liberty Braves Group Series C during the 4th quarter valued at about $31,000. Parallel Advisors LLC grew its position in shares of Liberty Braves Group Series C by 25,200.0% during the 4th quarter. Parallel Advisors LLC now owns 2,024 shares of the financial services provider’s stock valued at $50,000 after buying an additional 2,016 shares during the last quarter. Oppenheimer Asset Management Inc. bought a new stake in shares of Liberty Braves Group Series C during the 4th quarter valued at about $188,000. Finally, Xact Kapitalforvaltning AB grew its position in shares of Liberty Braves Group Series C by 30.0% during the 4th quarter. Xact Kapitalforvaltning AB now owns 15,160 shares of the financial services provider’s stock valued at $377,000 after buying an additional 3,500 shares during the last quarter. 75.49% of the stock is owned by institutional investors. Separately, Zacks Investment Research upgraded shares of Liberty Braves Group Series C from a “hold” rating to a “buy” rating and set a $28.00 target price for the company in a research report on Tuesday, January 1st. NASDAQ BATRK traded down $0.26 on Friday, hitting $27.77. The stock had a trading volume of 98,816 shares, compared to its average volume of 187,074. Liberty Braves Group Series C has a one year low of $21.85 and a one year high of $29.74. The stock has a market cap of $1.10 billion, a price-to-earnings ratio of 277.70 and a beta of 0.78. Liberty Braves Group Series C (NASDAQ:BATRK) last issued its quarterly earnings results on Thursday, February 28th. The financial services provider reported ($0.07) earnings per share for the quarter, topping analysts’ consensus estimates of ($1.18) by $1.11. The company had revenue of $32.00 million during the quarter. As a group, equities research analysts anticipate that Liberty Braves Group Series C will post -0.84 earnings per share for the current year. TRADEMARK VIOLATION WARNING: This piece of content was originally published by Fairfield Current and is the sole property of of Fairfield Current. If you are accessing this piece of content on another site, it was stolen and republished in violation of international copyright and trademark law. The correct version of this piece of content can be accessed at https://www.fairfieldcurrent.com/news/2019/03/31/acadian-asset-management-llc-acquires-shares-of-15697-liberty-braves-group-series-c-batrk.html. Receive News & Ratings for Liberty Braves Group Series C Daily – Enter your email address below to receive a concise daily summary of the latest news and analysts’ ratings for Liberty Braves Group Series C and related companies with MarketBeat.com’s FREE daily email newsletter. Formula One– the highest class of single-seater auto racing founded by Fédération Internationale de l’Automobile– is planning to launch its own blockchain-based game wherein racing can get even more exciting. F1 Delta Time is expected to be launch on May 10 in which its first phase will be made available to the public. 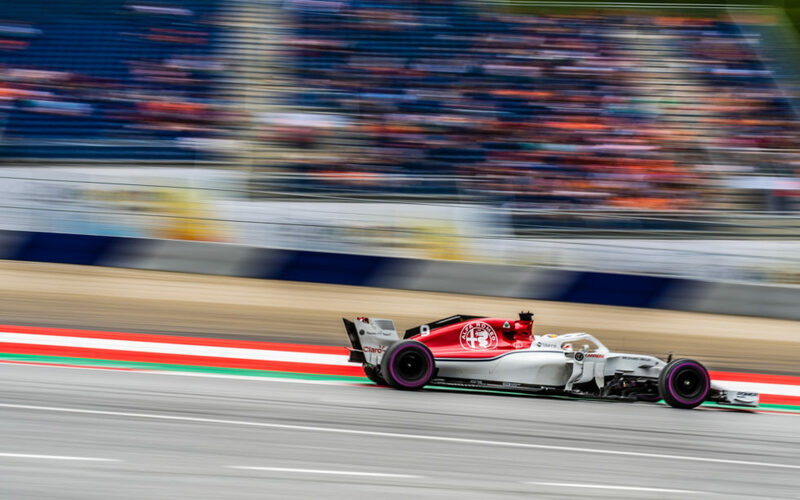 According to Liberty Media– the company that owns Formula One, the plan to try and conquer the world of blockchain is mainly their tactic, to get the younger audiences to watch and support their shows. With the use of their F1 Delta Time, the company expects to gain more attention towards millennials since their target audience ranges from their generation. Excitingly, since the game will be controlled by blockchain– a distributed ledger system famous for powering cryptocurrencies like Bitcoin– F1 Delta Time will also introduce non-fungible tokens (NFTs). NFTs are blockchain-based token that is use in order for the owners and gamers to have their own identity in the game. It is entirely unique and F1 claims that “all cars, drivers and components in the game are NFTs.” Once an owner made an access with his account, he can trade, sell, and use his unique character or skills in which he has the only ability to do so. Hong Kong-based gaming firm Animoca Brands. Yat Siu, co-founder, and chairman of Animoca Brands expressed his gratitude to the racing company and promised to give his best as their partner. It was reported last year that Formula One had been struggling with its TV audiences since the average viewers of their shows in Italy and Brazil– which have the highest audiences– slowly spiraled down. Formula One admitted that the lost of their audiences had a major impact on their revenues in the market. Interestingly, it looks like blockchain became their weapon to gain back what they lost for a while. Will it work? Formula One, the Fédération Internationale de l’Automobile’s highest class of single-seater auto racing allowed, will see its owners, Liberty Media, launch a blockchain-based game in an effort to bring in a younger, more tech-oriented subset of fans. The game will come from Hong Kong-based gaming firm Animoca Brands and will be titled F1 Delta Time. The game will launch in the near future, on May 10. The move from Formula One comes amid a declining audience in the sport’s most popular regions. What do you think of F1 Delta Time? Will you play? Let us know your thoughts in the comments below!